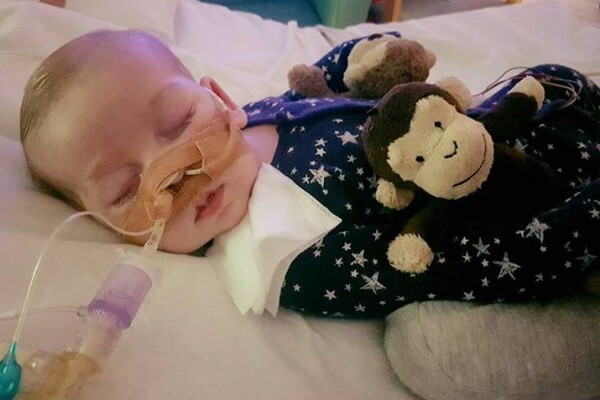 Earlier this month, Live Action News’ Nancy Flanders wrote about the battle to save Charlie Gard’s life. Ten-month-old Charlie was placed on life support two months ago, after he became dangerously sick due to the extremely rare RRM2B mitochondrial depletion syndrome that, until then, doctors did not know he had. Charlie was being kept on life support at Great Ormond Street Hospital in London. His parents, Chris Gard and Connie Yates, wanted to take him to the United States for an experimental treatment that could save his life. The hospital fought Charlie’s parents and wanted to take him off life support. The battle to save Charlie was taken to England’s courts. His parents have raised £1,308,640 so far ($1.4 million USD), and they found a doctor willing to provide the experimental treatment in an effort to save their son’s life. But a court ruled against Charlie’s parents, who quickly appealed. Charlie was kept on life support while the High Court, the Court of Appeal, and the Supreme Court in London all ruled on his case – and they all ruled in favor of the hospital. The parents’ last hope was the European Court of Human Rights. Unfortunately, that court ruled against them as well, and Charlie’s parents have now lost their final appeal. Charlie will be taken off life support, reportedly on Friday, against their wishes. Charlie’s parents knew that the treatment isn’t guaranteed to save his life, but their reasons for trying it anyway were twofold. First, it gave Charlie a shot at living. Second, it could help other children with Charlie’s disease, even if Charlie himself didn’t survive. “We just want to have our chance. It would never be a cure but it could help him live. If it saves him, amazing. I want to save others. Even if Charlie doesn’t make it through this, I don’t ever want another mum and their child to go through this,” Yates said in an interview with the BBC. The European Court of Human Rights still ruled against them, saying the parents’ application was “inadmissible” and that their decision is final. The hospital was required to keep Charlie on life support until the European court ruling; now it is free to remove him from life support and let him die, although a statement released by the hospital said it would not immediately let Charlie die. “There will be no rush by Great Ormond Street Hospital to change Charlie’s care and any future treatment plans will involve careful planning and discussion,” the statement read. 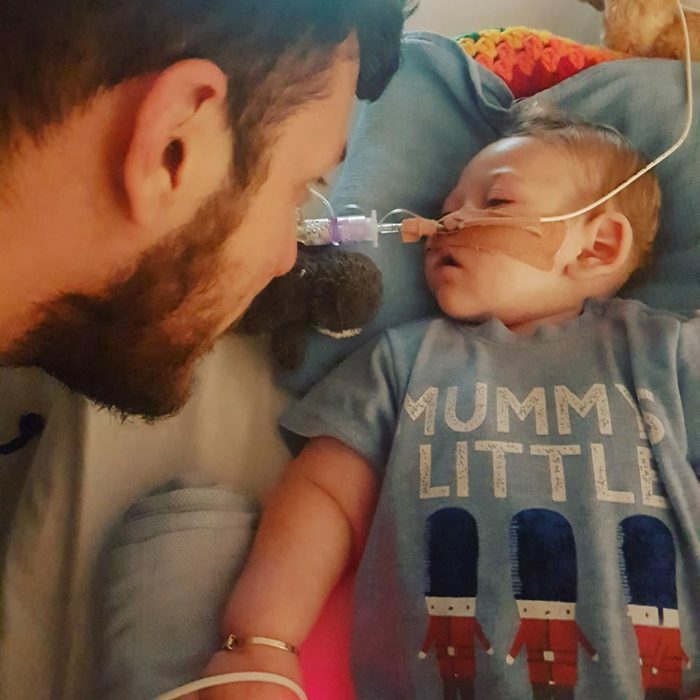 After the hospital issued this statement, Charlie’s parents told British media that the hospital is refusing to let them take Charlie home and is planning to pull his support on Friday. At its core, this case is about parental rights. Do parents have the right to decide how they want to proceed when it comes to treatment for their child? Any earthly decision on Charlie’s life is now in the hands of the hospital, not in the hands of his parents, who actively raised enough money to fly him to the U.S. and choose a treatment for him. It would be a mistake to ignore the ableism and euthanasia-friendly mentality inherent in the hospital’s argument. Because Charlie is blind, cannot hear, and is “suffering,” the hospital believes that Charlie’s life is not worth saving and that it is better to let a child die with supposed “dignity.” The hospital believes that it has more of a right to choose how long a vulnerable child can fight for his life than the child’s own parents do. The fact that Charlie’s mother and father cannot decide that their son’s life is worth trying to save is horrifying. The case of little Charlie Gard shows just how much we have allowed the tentacles of the culture of death to bind us.